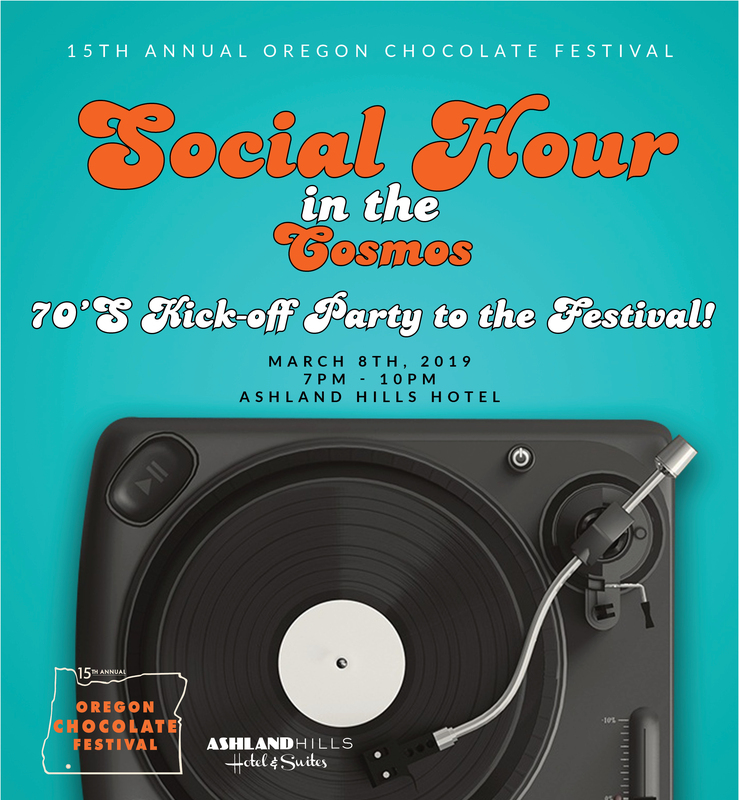 The kickoff event to the 15th annual Oregon Chocolate Festival is back! The 70’s party starts at 7pm until 10pm. Dress in your grooviest costume (optional) and enjoy beer, wine, appetizers, and chocolate fountain! Hip music with DJ Veach. Winner of costume contest will be announced that night.